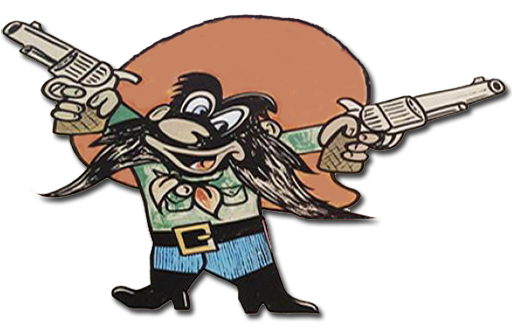 PORT CLINTON — We all love to talk about the glory days and recall with excitement those snapshots off the calendar we consider the best of times. We relish the memories and relive those periods when it seemed like the planets were perfectly aligned, the sun always was shining, the fish were biting, and the harvest was overwhelming. Usually, the predominant thought is it was a rare phenomenon, and we never will experience such exhilaration again, or live to see another sequence of such unlimited excellence. 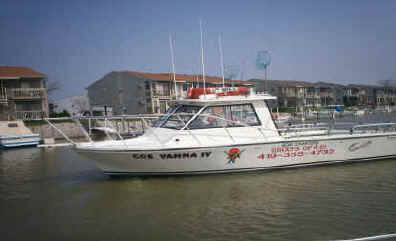 But that might not be the case for those anglers that make Lake Erie their home turf and walleye their fish of choice. 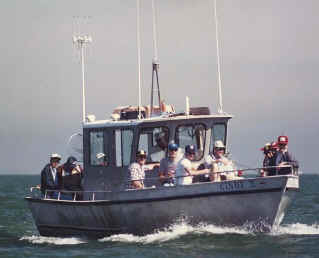 In recent years, when Erie’s walleye fishermen would harken back to the bounty of fish they encountered during the walleye boom of the 1980s and 1990s, they would speak wistfully, as if that explosion of fish was a one-time event, sparked by the ban on commercial fishing for walleye in Ohio waters put in place in the late 1970s. Now, those same anglers are looking for a repeat — another walleye gold rush — and they see it out there on the horizon. 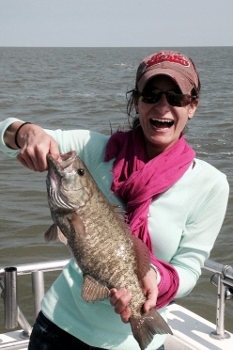 The reason for that unbridled optimism, an enthusiastic opinion shared by many, is most of the fish from a couple of outstanding hatches in recent years have now matured into “keeper” size walleye at 15-inches or more in length. While many anglers were temporarily frustrated by all of the small fish in the catch this past summer — there were days where boats went through 100 walleye hook-ups just to see 20 legal-size fish — their frustrations should transform into coolers full of satisfaction in 2018, and beyond. “We saw definitive proof about a really bright future,” said Hirzel. 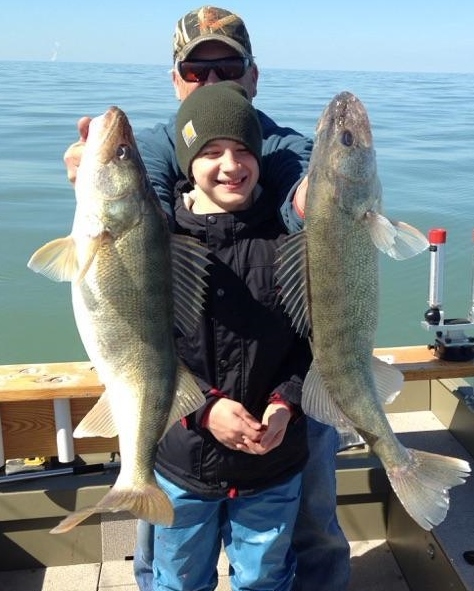 Toledo native and walleye pro-Ross Robertson had to chuckle this past season each time he heard about the “problem” with all of those small fish out in the lake, knowing what was just around the corner as those young fish fed aggressively and grew quickly. Travis Hartman, who makes monitoring and preserving world-class fishery his life’s work as the Lake Erie Program Administrator for the Ohio Division of Wildlife, said the 2015 walleye hatch is one of the largest ever studied. “This year’s 2-year-olds started out mostly under the 15-inch size limit and by the end of the season many of them were ‘legal.’ Our angler walleye catch rates were the highest we’ve seen in decades … so moving forward the walleye outlook is fantastic,” said Hartman, who estimated with so many smaller fish in the lake, around 2 million walleye were released this past season, and about 1 million walleye were harvested. Captain Mike McCroskey said the volume of fish in the lake’s Western Basin this past year often reminded him of those 100-walleye-a-day times from decades ago. Seeing the incredibly bright future that all of those small fish represented, McCroskey is beyond optimistic about what lies ahead. Hartman said the robust walleye class of 2003 will continue to provide most of the true trophy fish, but other strong hatch groups in 2007 and 2010, plus the outstanding hatches in 2014 and 2015, will give the lake a veritable smorgasbord for walleye anglers. 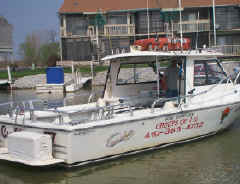 Captain Dave Spangler constantly had to remind the Lake Erie anglers any frustration they experienced with those under-sized walleye in 2017 would be wiped away with the bounty the lake will produce in the coming years. The bonus that came along with the brisk walleye action this past year was an active and productive yellow perch fishery. 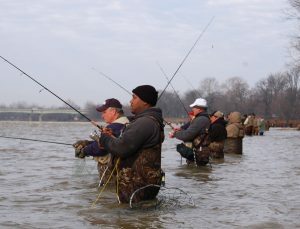 “I have been perchin’ since 1968, and this year the perch fishing was the best I’ve seen since then,” McCroskey said. “Fall perch catch rates were very good, and the grade of fish was the best we have seen in the Western Basin in decades,” Hartman added. 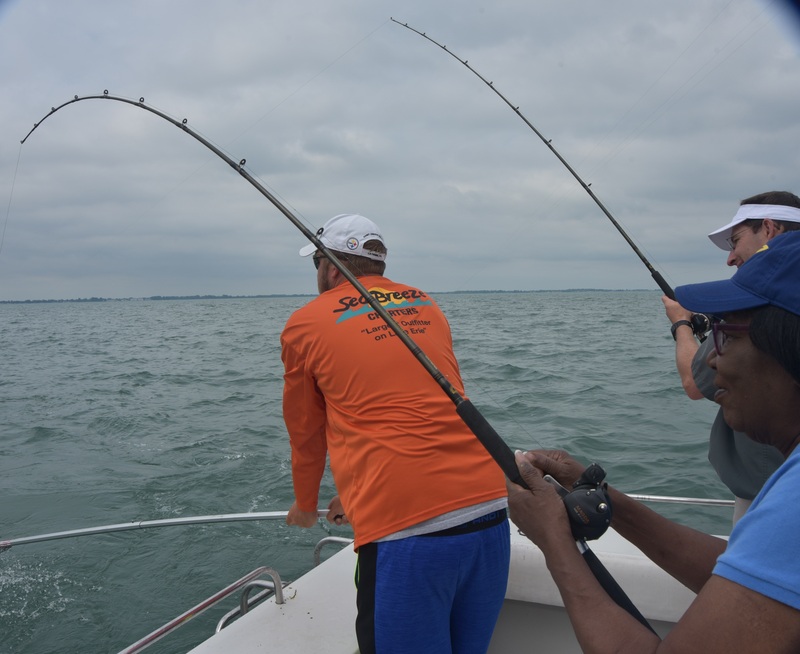 PORT CLINTON, Ohio (AP) — Ohio’s wildlife agency is studying whether to make another attempt at bringing back a sport fish that disappeared many decades ago from Lake Erie and rivers in northern Ohio. Sauger disappeared from the area in the 1950s because of overfishing and habitat loss. 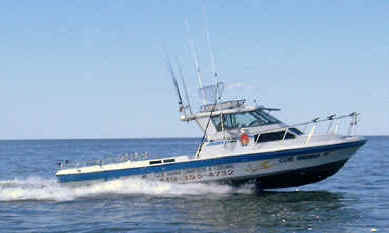 It’s often compared with the walleye, one of Lake Erie’s most popular sport fish. The state’s natural resources department stocked sauger from the Missouri River in Lake Erie for three years during the 1970s, but it didn’t work, said Jeff Tyson, the department’s Lake Erie fish management program administrator. “We’re essentially going back and doing the same thing, but trying to cross off some of those reasons why it didn’t take,” he told the Port Clinton News-Herald . The state is working with the U.S. Geological Survey in Ann Arbor, Mich., to test populations of sauger. 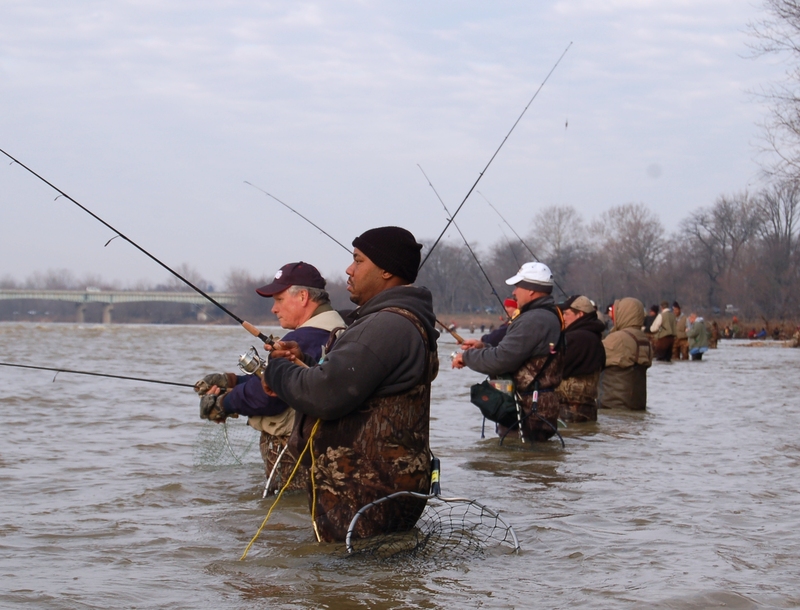 They’re considering Lake Ontario sauger from the St. Lawrence Seaway, Ohio River sauger and ones from a Minnesota lake. “Hopefully, in the next year, we’ll have an idea,” he said. Sauger usually grow to 15 inches, but can reach 24. They mostly stay in the warmer near-shore water and turbid water.